In fact, the producers of the show “Keeping up with the Kardashians” were thinking to close it up last season, but now, after the robbery in Paris, the channel management has decided to postpone the shooting of the new series. The news was spread by Variety, referring to the producers of the TV project. “At the moment, to say the least, we cannot care about it. Now all the main focus is on the well-being of Kim Kardashian-West. As for the reality show “The Kardashians”, the decision to begin its shooting was postponed for an indefinite period”, — the showrunners informed the reporters. At the same time, the official premiere date has not changed. It remains on 23 October 2016. The star herself got to New York safely and then returned in Los Angeles on a private jet accompanied by members of her family. “Looking at Kardashian descending from a private jet, she seemed have made up her mind not to demonstrate her wealth in public anymore. Although it may be the case that she did not plan to be seen by anyone” — says TMZ. It should be noted that Kanye West , Kim’s husband, also insists that his famous wife should leave the show for the safety of herself and children. Though in this case the rating of the show would drop by half. 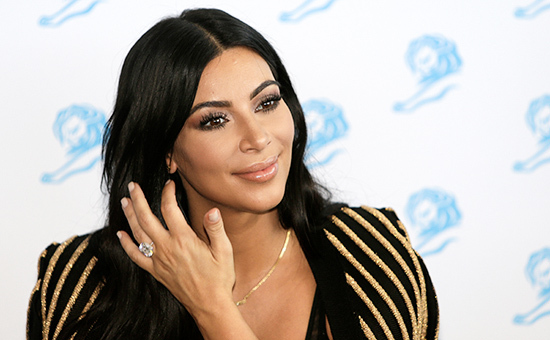 Kim Kardashian was attacked on Monday. Five men in police uniforms broke into her hotel room, grabbed the star, tied her up and locked in the bathroom and then stole her engagement ring and the jewelry box in the amount of approximately $ 10 million. If they are caught, they will spend the rest of their life in prison. “If the robbers are caught, they will probably be charged with kidnapping and unlawful imprisonment, theft and extortion with weapons, said the lawyer, Robert Wallach. – Each of these crimes is punishable by up to thirty years of imprisonment”. Which Kardashian Will Get a Proposal This Holiday?